Kimihiko Takamatsu is a graduate student at the University of Pennsylvania in a Master of Environmental Studies (MES) program, with a concentration in Environmental Policy. He hails from Japan, and earned a Bachelor of Laws from Keio University in Tokyo in 2011. Prior to his graduate studies at Penn, Kimihiko worked as a secretary at the Tokyo Office of Skadden, Arps, Slate, Meagher & Flom LLP, one of the largest law firms in the U.S. As an MES student at Penn, he focuses his studies on International Environmental Treaties and Sustainability Management. 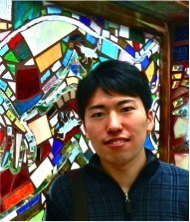 Kimihiko is currently working as a research assistant at the US-Japan Institute, which is a non-profit research organization, based in Philadelphia, PA. I had the opportunity to listen to a speech presented by Ms. Sarene Marshall, the Managing Director at the Nature Conservancy. The Nature Conservancy is the largest environmental non-profit organization in the U.S., and Ms. Marshall has led many projects relating to sustainability management in developing countries throughout her career at the organization. A graduate from the Wharton School with fluency in Spanish, Ms. Marshall introduced two case studies in terms of deforestation for this occasion: the logging industry in Indonesia and the soybean business in Brazil. 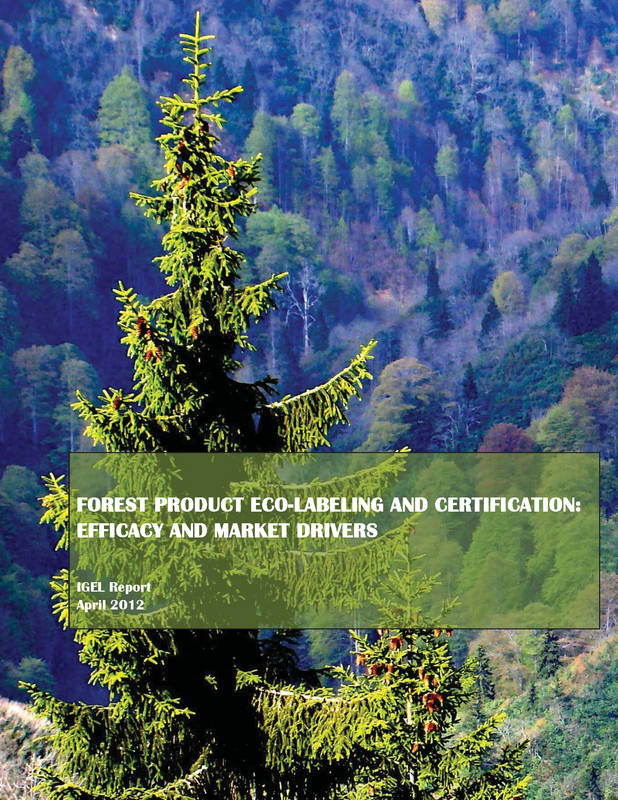 On the regulation front, many laws are put in place in countries around the world to prohibit the sourcing of products that are contributing to the deforestation, especially timber, but also other agricultural products. Brazil has a far-reaching legislation that has been on the books for decades but little has been enforced until recently, known as the Forest Code. The law requires that private landowners in the Amazon retain 80% of their land near forest cover so companies won’t farm, ranch, or pare down the trees there. The Forest Code had been the biggest tool in fighting deforestation in Brazil until a high-profile report of Greenpeace came up accusing the soybean business of eating up the Amazon. The report indicated that the deforestation occurring in Amazonia lead to the growth soy beans that were then fed to chicken and finally ended up in fast food chain restaurants like McDonald’s. This incident sparked a wave of outrage from environmentally minded consumers, and as a result, Cargill, an American multinational dealing in agricultural commodities, had to scale down their soybean business in Brazil. Against this backdrop, Ms. Marshall and her team at the Nature Conservancy initiated a pilot program in Brazil to ensure that suppliers are in compliance with the law, and also consumers can know where the soybeans that they buy are coming from. What Ms. Marshall did with her team was to apply mapping technology to create graphical maps showing which properties are in compliance and which were not. In creating the maps, they used databases in state agencies and the ones Cargill produced, and combined the geo-referenced information and delivered it to a variety of stakeholders. This project ended up as a great success, and currently Ms. Marshall’s team has covered 128 million acres of forest using their program. Furthermore, their maps have provided vital market access for farmers as well as increased Cargill’s transparency, resulting in a mutually beneficial outcome. The second case study on the logging industry in Indonesia is also a success story outlining how to make supply chain more sustainable. The Nature Conservancy has been committed to the timber business in Indonesia for decades with a program funded by the U.S. Agency for International Development (USAID). They have been working with local timber concessionaires, primarily in Borneo, to show how they can change their felling practices to more environmentally conscious ones, while trying to enhance community engagement with the local people living near timber concessions. One of the things that the Nature Conservancy has been involved with is to advise local loggers to use the monocable winch system. The monocable winch allows loggers to drag one log at a time instead of, say, a powerful bulldozer carrying a bunch of logs while knocking down whatever plants or vegetation that come in its way. This saves a lot of innocent trees, reduces tons of carbon emissions annually, and keeps the timber concession viable for future use so that they can go back later and fell newly grown trees. At the same time, they also make efforts in engaging the local community and whereby they identify important areas that are culturally and spiritually rich, so that the certification process for timber concessions works smoothly and without much antagonism between loggers and locals. “Each year, about 36 million acres, or roughly the size of New York State, of forest are lost,” warns Ms. Marshall. To the surprise of the audience, myself included, 80% of carbon emissions come from deforestation, according to her. Yet, many developing countries still rely on carbon-intensive fossil fuels for energy production, in pursuit of economic development comparable to the levels achieved by developed countries. While many multinational corporations try to exploit the so-called “bottom of the pyramid (BOP)” consumers, whose number is said to be somewhere around 4 billion today, it is essential that third-party organizations get involved in their supply chains, with a critical eye toward their long-term sustainability.